Ever wake up with puffy eyes, get asthma out of nowhere, or suffer from rheumatoid arthritis? Millions of Americans struggle to get inflammation under control, taking medications with minimal comfort. Relief may be easier than you think, having only to open your refrigerator. You may see articles and postings about inflammation, but are wondering what it is exactly. When we get an injury, the body will protect itself with inflammation, but when an inflammation disease presents itself, the immune system will attack the body’s own cells and tissues. There are foods that increase inflammation, such as fatty, greasy, salty, processed, or super sweet foods- think any food that you would get at a carnival, like those oh-so-tempting funnel cakes. After eating these types of food, you may feel sluggish, puffy, and maybe even a little stiff; that’s your body telling you to stay away! Then there are foods that reduce inflammation, delicious and nutritious options that not only make you feel good after you eat them, but are warding off disease at the same time. These are what you want to be adding every day to your meals to get you up and ready for that epic parent versus child soccer game at the end of the season. Please take note that anything in this article is not medical advice, and you should consult with your doctor about any concerns or changes with your diet or medication. Who doesn’t like this colorful superfood snack? Rich in antioxidants called flavonoids, strawberries, raspberries, and blueberries offer a powerful defense against cellular damage. In many regions of China, individuals drink green tea daily. This habit is more than just a custom, it is also a way to stay healthy. Green tea has many wonderful polyphenols, which are antioxidants that help fight off free radicals in the body. So, if your cabinet isn’t already stocked with this tasty mid-morning pick-me-up, it’s time to hit the store. Take note of that key word “flavonoids” that keeps popping up, handing out anti-inflammatory properties that we are better with, than without. And what an amazing way to get the body healthy! As if we weren’t already sneaking dark chocolate when the kids weren’t looking anyway. 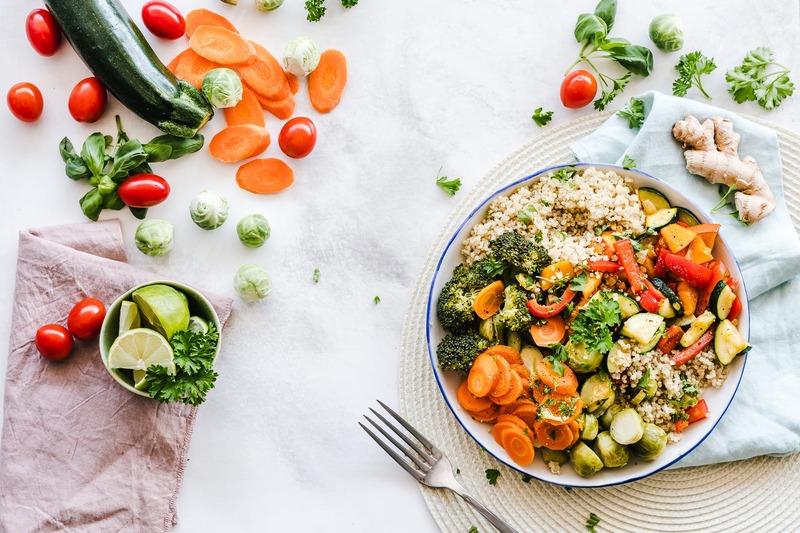 Research has shown that sulforaphane, which broccoli has plenty of, is great at fighting inflammation by reducing cytokines, according to the Reader’s Digest. Broccoli is versatile, so have fun with it and add it to stir fries, dip it in hummus raw, or bake it in bread crumbs for a healthy snack. Many people know that avocados are a great source of healthy fats, but what they may not know is that it also is an excellent source of magnesium, fiber, and potassium. With all these healthy nutrients you may think that it can’t get any better, but wait, there’s more- they also have polyphenols! Getting on an anti-inflammatory diet is easy with this superfood. You can dip chips in guacamole, add diced avocado to your salad, or eat it raw with a little Himalayan salt on top. You may not be surprised to find this food on the list of anti-inflammatory foods, because leafy greens are on almost every “eat healthy” list. It is for good reason! Throw some spinach in your smoothie, bake kale for some afternoon chips, or add some bok choy to your stir fry. While mushrooms aren’t everybody’s favorite food, the benefits are too good to pass up. If you want to get your inflammation under control, try adding mushrooms in different ways until you find one that is suitable for your taste buds. Nuts are one of the easier snacks for kids, because they are healthy and mess-free. They also are great for moms, because they are easy to pack, and can be eaten in under 5 minutes, and stave off hunger. If you weren’t already sold on the convenience of nuts, here is another reason to keep some in the pantry. Olive oil is a delicious cooking ingredient that adds so much flavor, as well as giving your body’s defenses another weapon to attack unwanted intruders. The trick to getting optimum health benefits from your olive oil is to make sure it is “extra virgin” olive oil, all others will not pack the same punch. Sautéing onions leaves a distinct aroma in the kitchen that lets you know you are in for a delightful meal. Adding flavor to your meals is not the only job the onion is doing; it is also reducing inflammation with flavonoids. Make a conscious effort to add these foods to your diet, and you will be feeling better in no time as your inflammation reduces. With all the foods out there that are fighting against your body, you need to stock your own defenses to stay healthy. Eat smart, exercise regularly, sleep well, and keep inflammation at bay. The recommendations and suggestions in this article are for informational purposes only, and are not meant to substitute any medical advice from a professional. Please let us know in the comments section if you have used any of these foods to fight inflammation.